The shade I use is medium, and it has a slight peach tint to it. On blending the product, it almost disappears into the skin - not only because the shade is a good match for my skin tone but also because the product is quite thin and blends into the skin quite easily, leaving only a smooth healthy look to the skin. #1. Much like an Instagram filter, this product works by blurring imperfections on the skin and giving it an overall softer, smoother look rather than a cakey, covered appearance. Used on it's own, it does not provide any significant coverage on the skin yet instantly adds a healthy softness and brightness to the skin. On days when I don't want to use much makeup but still want my skin to look good, this is my go-to product. For a little extra coverage, I add in concealer on blemishes and/or dark circles and finish with a powder foundation. #2. 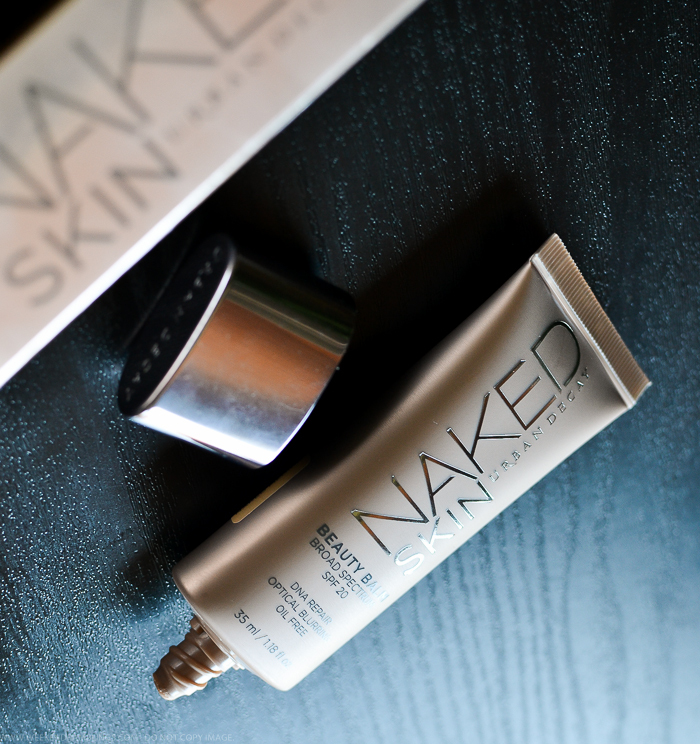 Urban Decay Naked Skin Beauty Balm has an SPF of 20, and while this might not seem that huge a number, it does provide some degree of broad-spectrum sun protection, especially when layered along with other products. Most importantly, it does not leave my medium-dark-skinned face looking ashy (my main complaint with most sunscreens!). #3. 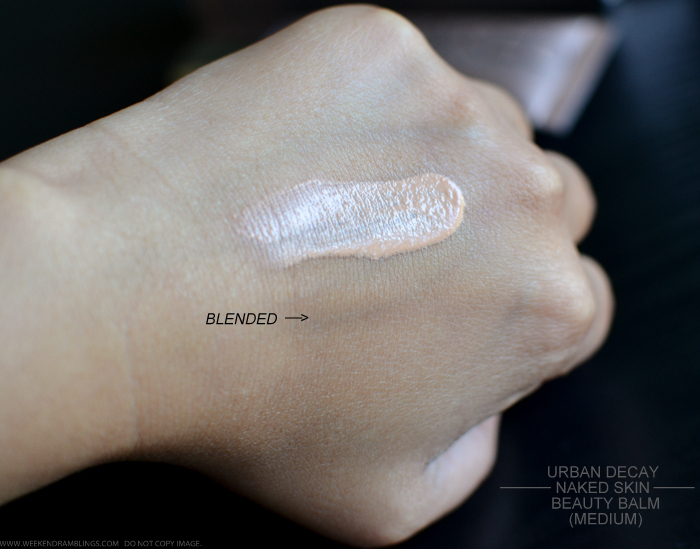 I have oily-combination skin, and the Urban Decay Naked Skin Beauty Balm does a good job at balancing the oiliness on my face, giving me a slightly matte look while keeping my skin looking fresher longer. #4. My favorite way of using this product is not as a tinted moisturizer but rather as a primer before I apply my regular foundation. I start with my regular skincare products (serum-moisturizer) followed by the Urban Decay Naked Skin Beauty Balm. This gives my skin a smoother, brighter appearance and slightly mattifies my skin. I follow this with a sheer layer of foundation, concentrating on areas that need more coverage. While not really marketed as one, this is the best primer I have used so far, and it makes my foundation go on smoother and last longer. As part of my daytime makeup routine, it helps me achieve natural-looking coverage without using a ton of product. #5. 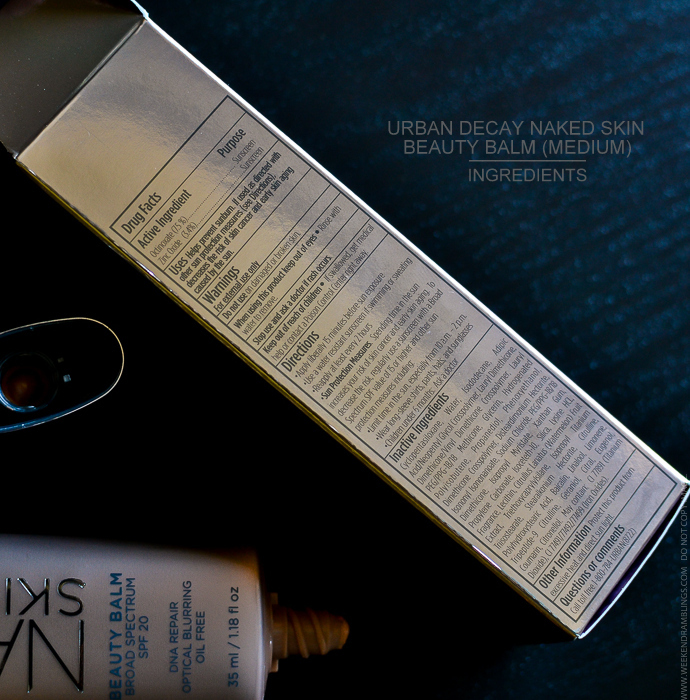 I work from home so I don't need to put on makeup daily, but I do appreciate the fact that the Urban Decay Naked Skin Beauty Balm comes with added skincare benefits, vitamins and antiaging ingredients that protect and improve my skin texture while I am wearing makeup. I also have sensitive skin that breaks out quite easily, and this oil-free formula has never irritated my skin. 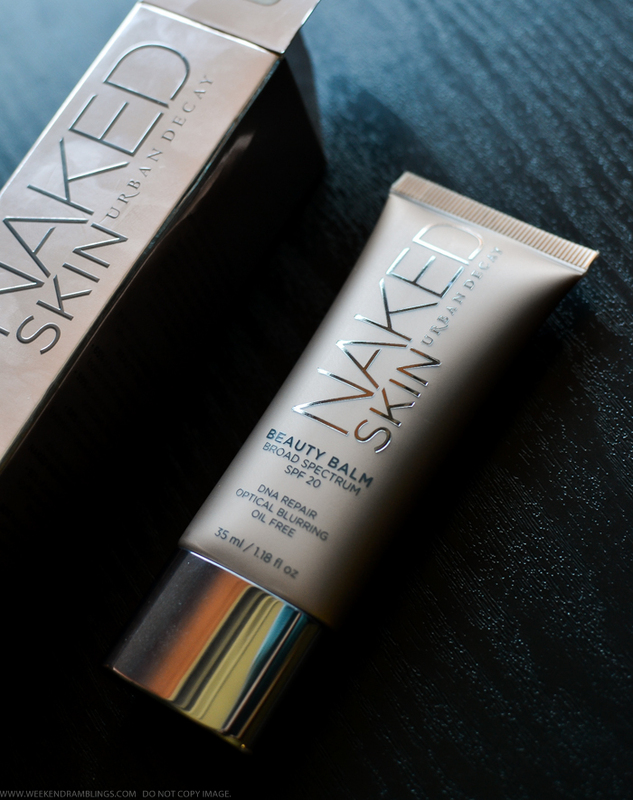 The Urban Decay Naked Skin Beauty Balm is a multi-tasking product that doesn't really fit into the usual tinted moisturizer or BB cream mold, but I have always believed makeup is meant to be used the way it best suits you. Do give this product a try, and you just might discover your next makeup must-have. Product featured in the post were provided for review courtesy of Ulta Beauty and People StyleWatch. Am not sure...I dont use MAC base products but did check once here...the SA said NW42 or something like that...the foundation he applied seemed a little dark on me though so not sure. Anyway, we would be similar coloring Aarthi. I thinkkkk Dark might be too dark for you..medium seems right.